Sen beat Railways’ Shubhankar Dey 21-17, 21-17 in the men’s singles clash. Asian Junior Champion Lakshya Sen along with the mixed doubles pair of Shlok Ramchandran and Shriyanshi Pardeshi steered the Airports Authority of India to a narrow 3-2 victory over the Railways in a thrilling final of the Yonex-Sunrise 74th Inter State-Inter Zonal Badminton Championships in Guwahati on Monday. 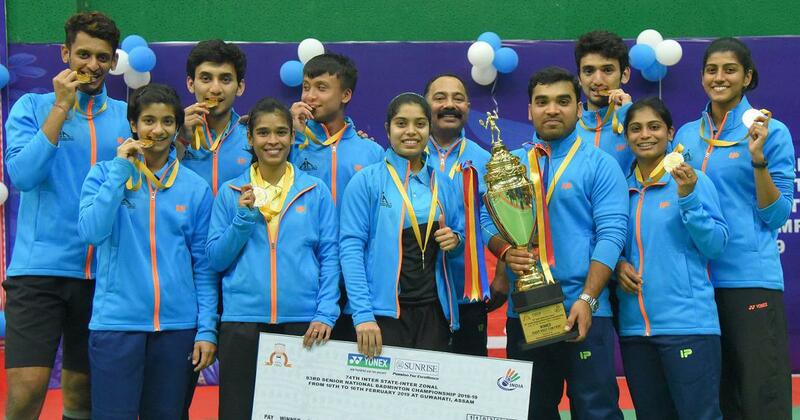 This is the seventh time that the AAI has won the tournament. Sen, 17, battled for 55 minutes before beating Shubhankar Dey 21-17, 21-17 in the men’s singles clash to give AAI a 1-0 lead. Aakarshi Kashyap, then, doubled the lead with a 21-12, 21-14 win over the Railways’ Anura Prabhudesai. Railways halted AAI’s run as the men’s doubles pair of Kabir Kanzarkar and Hemanagendra Babu held their nerves to eke out a 21-18, 17-21, 21-18 win over Shlok Ramchandran and Chirag Sen. In women’s doubles, Riya Mookerjee and Anura Prabhudesai thumped Pardeshi and Sneha Santhilal 21-8, 21-8. Pardeshi managed get over the defeat quickly to partner Ramchandran and beat Kanika Kanwal and Akshay Raut 21-9, 17-21, 21-8 in the mixed doubles match, which clinched the tie for AAI. 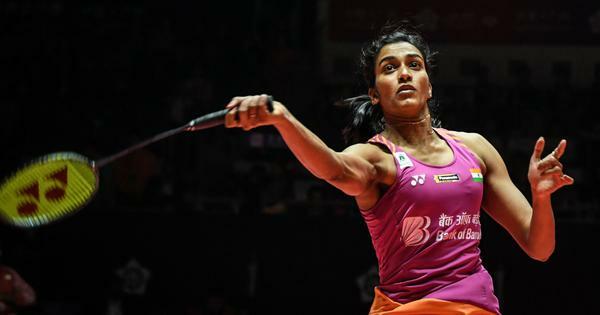 PV Sindhu and Sameer Verma will be the top seeds in the singles events of the 83rd Senior Nationals. The top eight singles players will be placed directly in the pre-quarter-finals and the top four teams in the doubles will similarly start their campaign from the quarter-finals. The seeding is based on the players’ Badminton World Federation rankings (as on January 18). All the top 50 shuttlers have got direct entries and Badminton Association of India rankings have been considered for players who have filled up the empty slots. PSPB will be led by the top three seeds in men’s singles – 2015 champion Sameer Verma, 2014 winner Sai Praneeth and 2012 winner Parupalli Kashyap. Subhankar Dey of the Railways is the fourth seed, UP’s Ansal Yadav is the fifth seed, AAI’s Chirag Sen is the sixth seed. Uttarakhand’s Bodhit Joshi and Haryana’s Kartik Jindal round off the men’s singles seedings. Andhra Pradesh’s Sindhu, champion in 2011 and 2013 as well as the runner-up in the last edition, is the top seed in women’s singles. Defending champion Saina Nehwal will be the only seed representing PSPB as she eyes a fourth title. AAI’s Shriyanshi Pardeshi is the third seed, followed by Ashmita Chaliha of Assam, Kanika Kanwal and Anura Prabhudesai, both of the Railways. Sai Uttejitha Rao Chukka belonging to Andhra is the seventh seed while AAI’s Aakarshi Kashyap is the eighth.